Whether for business or leisure, more of us will be traveling locally and internationally this summer. But with so many things to see and to do, when you get to your destination, the basics of health and safety are often being neglected. 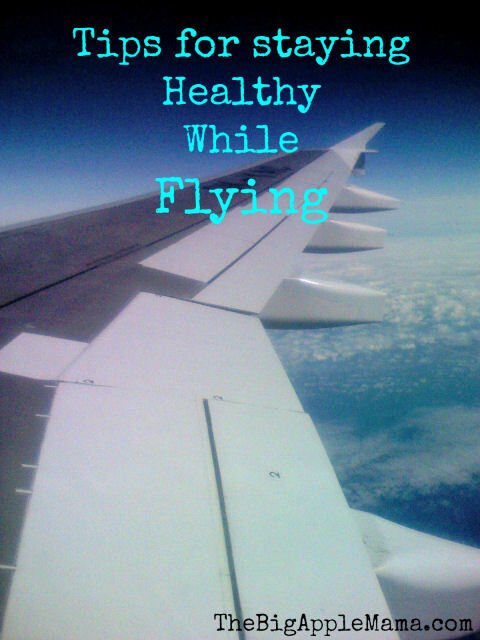 I want to share my top tips on Staying Healthy while flying or traveling. Get at least 8 hours of sleep the night before you fly. Boost your immune system before you travel by taking your vitamins. I like to take Airborne or Emergen-C 1 hour before flying. Take 1 or 2 packets with you. Empty the content of 1 packet into glass. Add 4-6 oz. of water, stir. For lighter flavor and to give to kids, mix with more water. Pack healthy snacks for the plane (nuts, veggies, and fruits), but make sure to consume them in flight so as not to bring them into another country. Skip the alcohol and caffeine. Also avoid alcohol the day before you fly. Keep your hands and your personal items out of the seat back pocket to avoid germs. Wash your hands frequently with soap and carry a travel size antibacterial sanitizer. Do not use airline supplied pillows and blankets to avoid germs. Unless they are sealed and packaged in plastic. Avoid leg cramps and blood clots – create the situation where your legs are moving and your muscles are contracting. What did I miss? Do you have any tips for staying healthy while flying? Thanks for these tips. One thing I would add is that compression socks are useful for long flights or flights where moving around isn’t easy (like if you have the window seat and don’t want to disturb the passengers next to you). Good tips to keep in mind when flying!